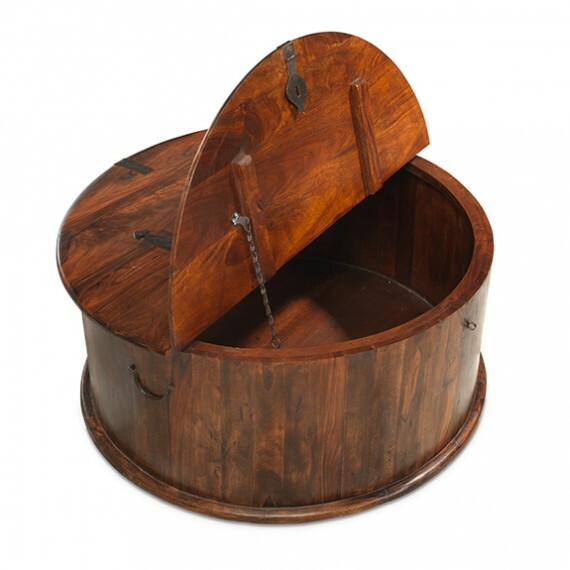 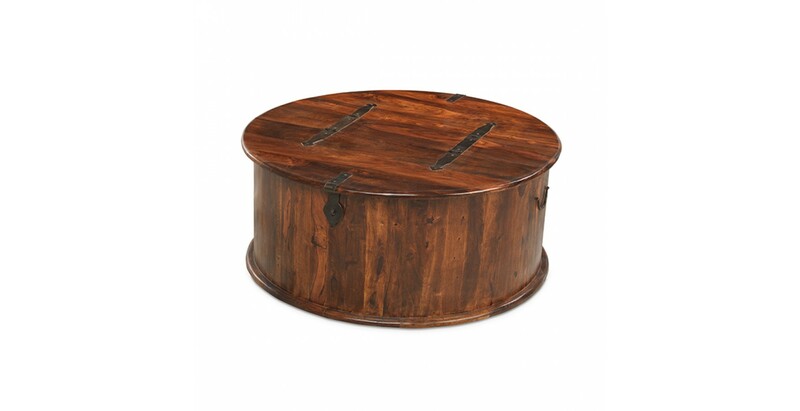 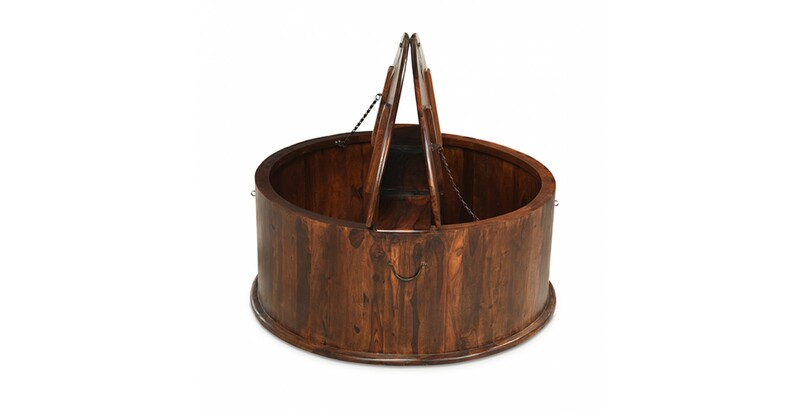 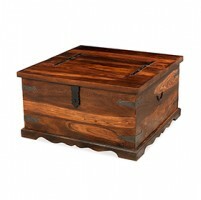 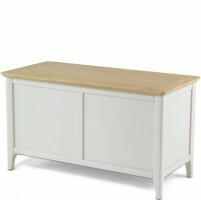 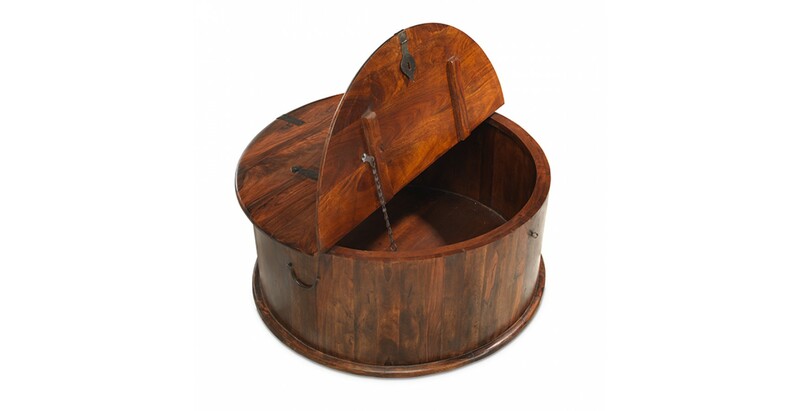 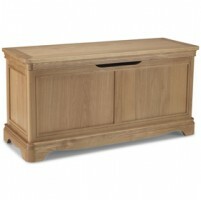 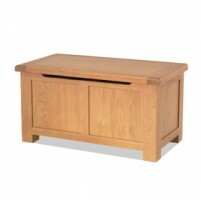 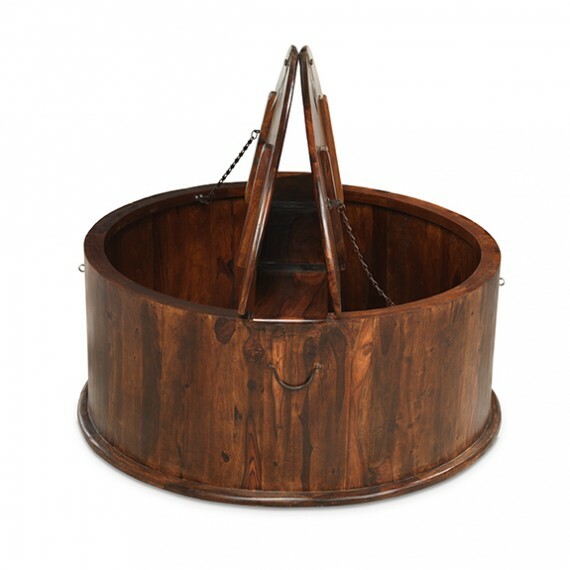 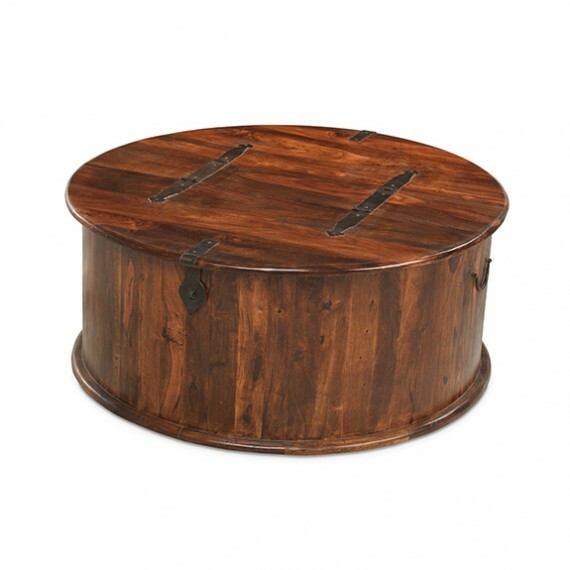 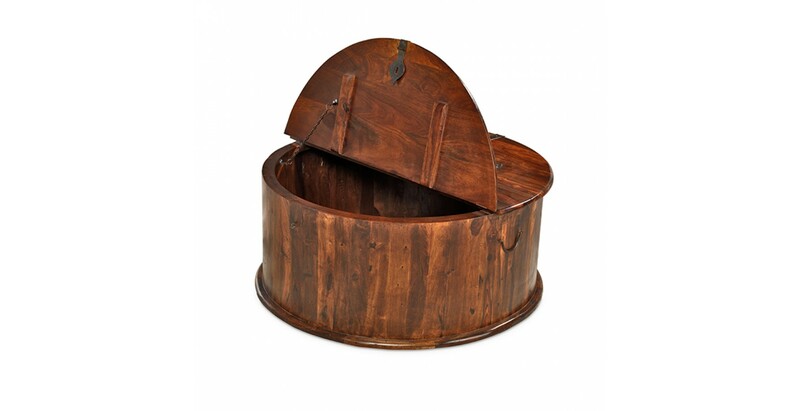 Add some colonial-style curve appeal to your living room with this round coffee trunk. 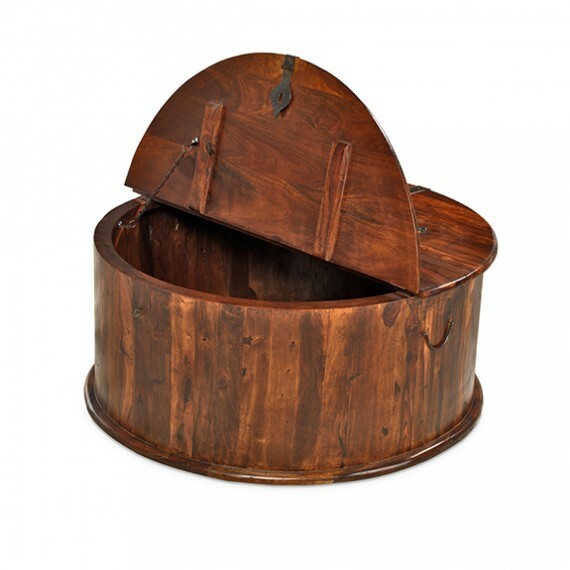 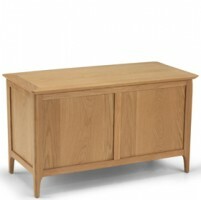 Handcrafted from sheesham wood, the top opens from both sides to reveal a roomy space where you could keep all sorts of things to help you stay organised and free from clutter: spare cushions, books, games, toys – you name it. 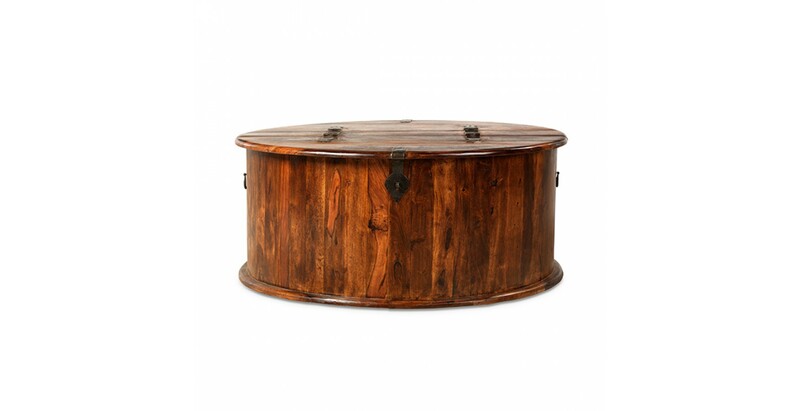 There's plenty of visual interest on the outside too, what with the dark tones brought out to perfection by the Wax Lacquer Finish and the metal hinges and brackets that add to its authentic look. 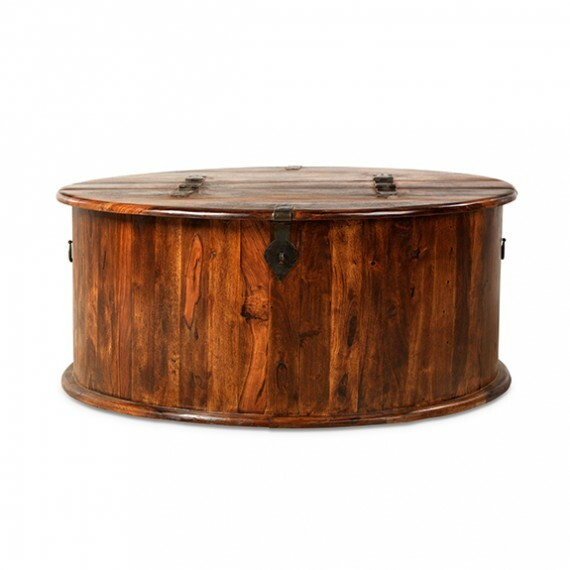 Ideal on its own, it would make an ideal centrepiece in a themed room with some other pieces from the Jali Sheesham range.